The long awaited and hotly anticipated follow up to Bechdel's mega-hit memoir, Fun Home, is here. 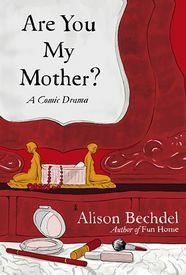 While Fun Home concentrated on Bechdel's coming of age and her relationship with her father, this time around, as the title clearly declares, it is her relationship with her mother that is detailed. At 288 pages, this work is noticeably longer than its precursor. It is also more controlled in its structure. In fact, control – primarily of the self – and the lack thereof, is one of the themes running through this work; a thread that tethers the subject to its object as it is buffeted by the elemental forces of the psyche. Ms. Bechdel turns herself inside out to locate the exact nexus in her psyche where her mother continues to direct traffic, to extricate her own self from that of her mother's, and to finally define and manage her own subjectivity. Plenty of psychology is employed here, from Freud to D.W. Winnicott to Alice Miller. In fact, one of the most significant contributions made by this work is to familiarize the uninitiated with the processes and values of psychotherapy and psychoanalysis, along with their theoretical underpinnings. These are additionally linked tangentially to the example of Virginia Woolf's life and work, from which much strength is derived. This is a thoroughly engaging work in which the author's personal struggles come alive on the page. Are You My Mother? 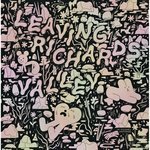 is well worth the while of not only fans of Ms. Bechdel's previous work, but anyone who enjoys an engrossing story well told, and especially to those intrigued by the possibility of gaining insights into the psychological approach to attaining personal growth in the process. Alison Bechdel continues to to produce work that rises to the challenge of portraying a life of the mind in comics form.